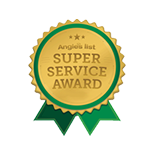 If you need replacement windows in Fairfield County, turn to All-Pro Windows. We have installed home windows throughout the area since 1972, so we have the level of expertise needed to replace your windows in an efficient and professional manner. 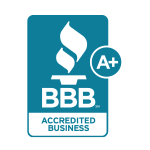 Plus, we have an A+ rating from the Better Business Bureau, which signifies our commitment to excellence and customer satisfaction. Ease of use – With specially designed sash balances, our vinyl windows are easy to open, tilt, and close, so you can fully enjoy your new investment. Resilience – Vinyl window frames resist rust, mold growth, cracking, and fading, so our windows will look beautiful for years to come. Energy efficiency – Our windows reduce heat transfer through the use of multiple, krypton gas-filled chambers that are sealed with foam-filled insulation. Aesthetic appeal – We offer several windows styles, including bay, oriel, and picture, so you’re sure to find a type that complements the appearance of your home. As if these excellent advantages weren’t enough reason to choose our home windows, consider the peace of mind they can provide you thanks to their lifetime warranty. To learn more about our experienced installers and to receive details about the various home windows we offer, contact All-Pro Windows today. 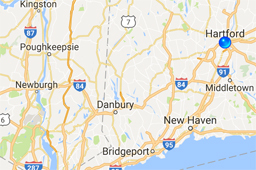 We’re happy to install our replacement windows in homes throughout Fairfield County, CT, such as in Greenwich, Stamford, Westport, Darien, New Canaan, Norwalk, Danbury, Bridgeport, Stratford, Trumbull and beyond.